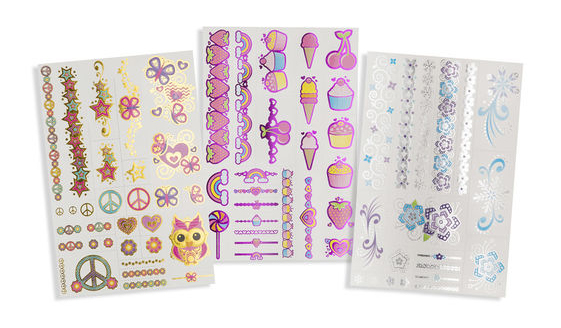 หนังสือขนาด 15 x 23 cm Tattoo กว่า 70 ภาพ! 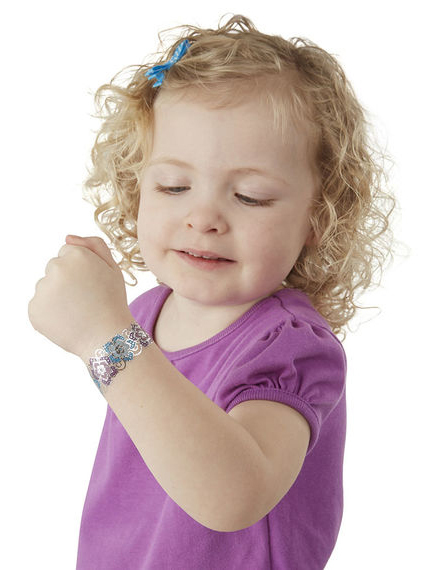 Kids love the look of these shiny jewelry and design tattoos! 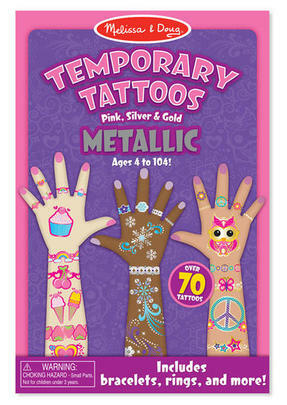 The pack includes three sheets of silver, gold, and pink rings, wristbands, and unique designs (more than 70 in all!) that press right on with a wet paper towel and last for days. The bright, shimmering effects and cool details look great on all skin tones. These are fun to mix and match and are so easy to use! 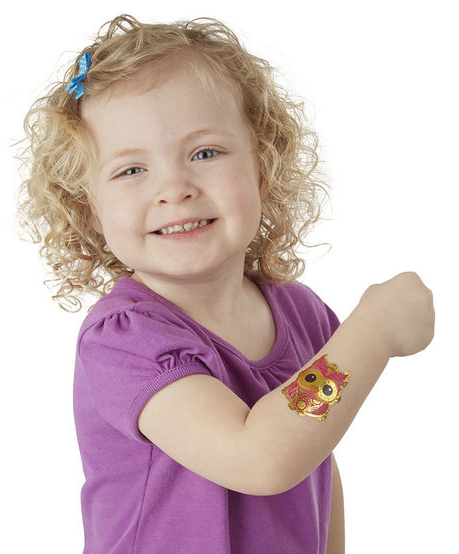 Tattoos come on perforated sheets, so it's easy for children four and older to see them all at a glance and easy to separate the "tattoo" of their choice. They also remove easily with oil, rubbing alcohol, or clear tape.